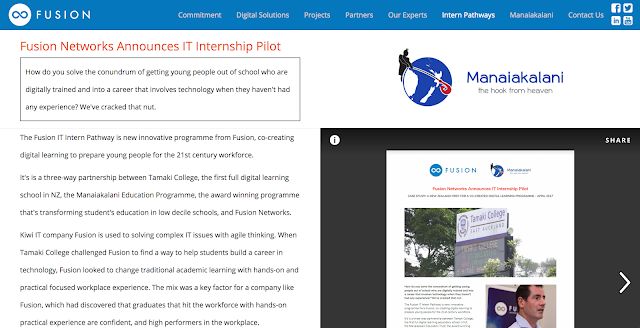 Fusion’s dedicated Education Services Leader Matt Elgar says ‘clustering’ where schools work together to minimise travel time, share knowledge, and work to agreed standards and processes, leads to Fusion engineers being able to spend more time on-site, resulting in enhanced and proactive services. Every so often a project comes along that gives everyone a good feeling. Auckland Transport, with help from Vector, has funded the installation of twenty specially designed street light columns in the Glen Innes area to connect local schools to a Wi Fi network. The aim of the project is to help the Manaiakalani Trust to give local children access to high speed internet via Wi Fi. Whilst internet is readily available in the homes of most New Zealanders the affordability of internet and broadband still puts it out of reach in lower decile areas like Glen Innes. This article describes more about how the wifi to homes project was implemented. 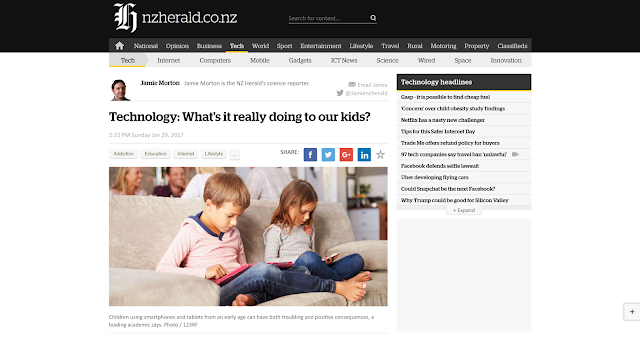 A recent article by NZ Herald's science reporter, Jamie Morton, investigates how the increasing prevalence of digital technology is affecting child development. The article includes comments from Professor Stuart McNaughton, director of the Woolf Fisher Research Centre at the University of Auckland's Faculty of Education. Professor McNaughton mentions Manaiakalani and the research into digital devices within education which Manaiakalani and Woolf Fisher have been working on together.